This RAW Rolling Machine fits rolling papers from single width up to 1 1/4 size. This roller also includes "how to roll" instructions to get you started and an extra rolling apron so you know it will last you a while. What makes this rolling machine unique is not what it does but what it is made out of. 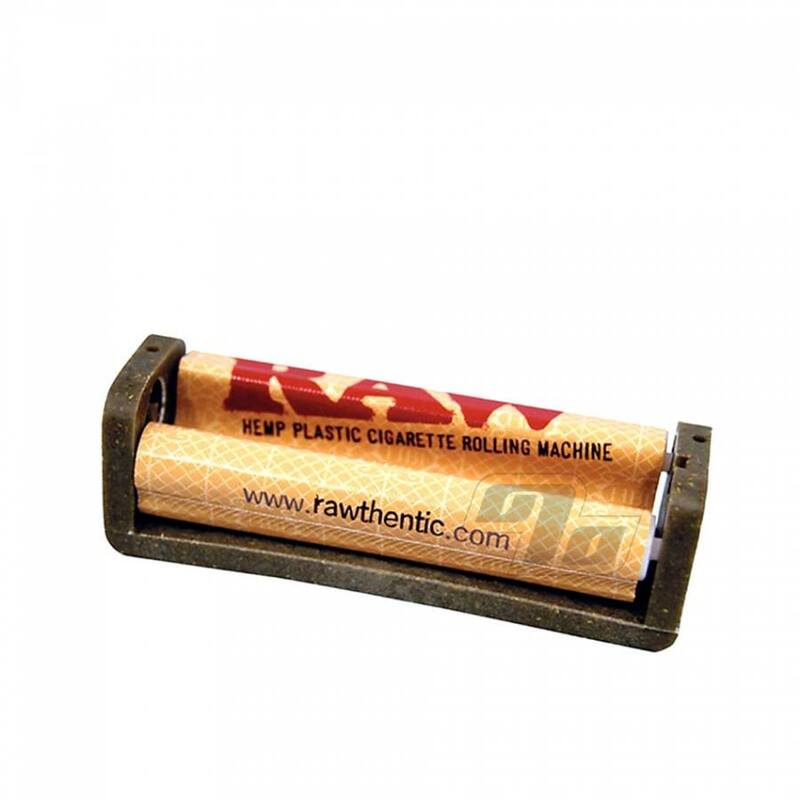 RAW Rolling Papers created the first rolling machine to be made from a natural hemp composite plastic! The hemp plastic was formulated and engineered in Germany and is not only sustainable but stronger. Can't really call this rolling machine eco friendly if it doesn't last. Anyone can roll a perfect joint with a rolling machine. Read the instructions and then practice a few times and you're good for life. Seriously easy way to roll that almost feels like cheating. Almost. Easy to use, and perfect rolling every time. No complaints. Easy rolling. Great price. Fast shipment!